The Buncombe County Tax Department is comprised of Assessment and Collections. Tax Collections is responsible for collecting all real and personal property taxes assessed within the county, occupancy tax, gross receipts tax, and beer and wine retail license fees. Property taxes include real estate, vehicle, business personal property and other personal property, such as manufactured homes, untagged vehicles and boats, etc. Collections mails over 135,000 property tax notices and collects property tax totaling more than $275 million each year for Buncombe County and the municipalities within the County's boundaries. Pay Taxes - By In-Person. Pay your taxes in-person by visiting the Tax Department located at 94 Coxe Avenue in downtown Asheville. Note: Free parking is provided in the open air lot across the street, next to Ben's Tune Up. Pay Taxes - By Phone. Paying over the phone "Toll-Free"
Call 1-877-690-3729 toll-free and follow the automated prompts to complete your transaction. Press 2 to pay any type of property tax. Enter all information as prompted by the automated system. You will receive a receipt number when your transaction is complete. Pay Taxes - By Mail. Mail your payment and coupon in the self-addressed envelope you received with your tax bill. If you don't have your payment coupon, you can mail a check with your bill number noted in the memo section to the Tax Department—Tax Collections Mailing Addresses. Pay Taxes - By Drop-Off Box. Drop off your tax payment with the payment coupon in one of our two drop boxes located in downtown Asheville. On the wall next to the main entrance of the Tax Department at 94 Coxe Avenue. PLEASE NOTE: It may take up to three (3) business days for credit card and e-check payments initiated online or via telephone to post to outstanding bills. View unpaid bills by property address. Link to pay your property tax bill, online. In addition to paying your taxes up-front and in-full, you can also prepay your taxes with two of our programs. Is your tax bill too large to pay all at once? Our Tax Department gives you the option of paying over the course of the year so you don’t have to pay all at once. Being enrolled in a payment plan also ensures you won’t be subject to collection actions, such as payroll or bank garnishments. The Casual Payment Plan allows you to send in a predetermined amount every month; it will not be automatically drafted from your bank account. Once you receive your bill you can continue your monthly payments until the bill is paid in full. If you enrolled in the Casual Payment Plan, you can mail in a check to the Buncombe County Tax Collector with "Prepayment" and your PIN or account number written on the memo line, or drop it in one of our drop boxes located at 35 Woodfin Street and 94 Coxe Avenue. Note: If you have a bill from 2018, you must finish monthly payments by April, 2019. The Preauthorized Debit Plan automatically withdraws a predetermined amount from your bank account every month. Note: If you have a bill from 2018, you must finish monthly payments by May, 2019. Both payment plans require you to contact our office. For more information or to enroll in a payment plan call a County Account Representative at (828) 250-4910 to talk to a Tax Collector to start the process. The responsibility of the Tax Department is to value all taxable property in the County. The total value of all the property in the county is called the tax base. Each county agency or department submits an annual operating budget to the county manager. The county manager submits a recommended total budget to the county commissioners for their consideration. In June, the Board of Commissioners reviews the budget, conducting public hearings to get citizens' input. By the end of June, the commissioners adopt the budget. The budget is divided by the tax base value to determine a tax rate. The tax rate is based on amounts per each $100 in value. Of course this process is not as simple as it sounds; many laborious hours are spent analyzing the budgets and county programs to arrive at a budget that will provide the most cost efficient services to Buncombe County. A similar process is completed for each municipality and fire district. The whole process is usually completed by the end of June and the county commissioners and town boards establish new tax rates in July. Once the tax rates are established, taxpayers receive a consolidated tax bill, usually in August, which includes Buncombe County, fire district, Asheville Schools, City of Asheville, Town of Black Mountain, Town of Montreat, or the Town of Woodfin, depending on the location of the property. Our priority is to work hand-in-hand with you to pay your bill. We are required by North Carolina law to advertise properties with outstanding taxes due. It is important to note that just because your property has been advertised does not mean the foreclosure process has begun. Foreclosure is an absolute last resort. If your property has been advertised, you can contact a Tax Department Account Representative and they will work with you to help find payment options and plans that work with your budget. If an advertised property does not get enrolled in a payment plan then foreclosure is a possibility. We want to work with you to prevent this. You can contact our professional Account Representatives at (828) 250-4910. 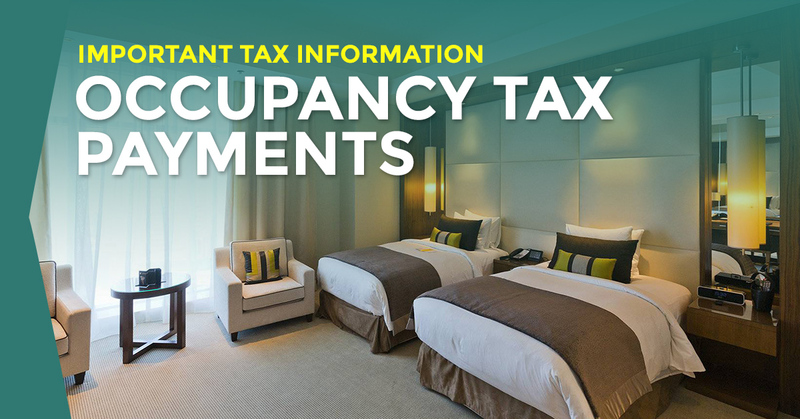 Note: The amount due for each property reflects payments received in the Tax Department through April 3, 2019. County of Buncombe, City of Asheville, Town of Black Mountain, Town of Woodfin, and Town of Montreat. Under and by virtue of the authority vested in the Tax Collector by Section §105-369 of the North Carolina General Statutes and pursuant to an order by the Board of County Commissioners of Buncombe County dated February 5, 2019, the Tax Collector is hereby advertising tax liens on all unpaid 2018 real estate tax bills as of 5:00 p.m. April 3, 2019. This advertisement shall contain "the name of the record owner of the parcel as determined as of the date the taxes became delinquent." Taxes became delinquent on January 8, 2019 and notices were properly sent to the owners of record as of that date. Also contained in this advertisement is the property description, parcel identification number and the principal amount of tax due. The amount advertised will be increased by interest and advertising cost, and the omission of interest and advertising cost from the amount advertised will not constitute a waiver of Buncombe County’s claim for those items. If the taxes remain unpaid, the Buncombe County Tax Department may foreclose on the tax lien to satisfy all claims on unpaid taxes.